Simple yet elegant. Celebrate a special moment in your life with this beautiful 1/2ct diamond channel set eternity ring, crafted in shining 18ct white gold. 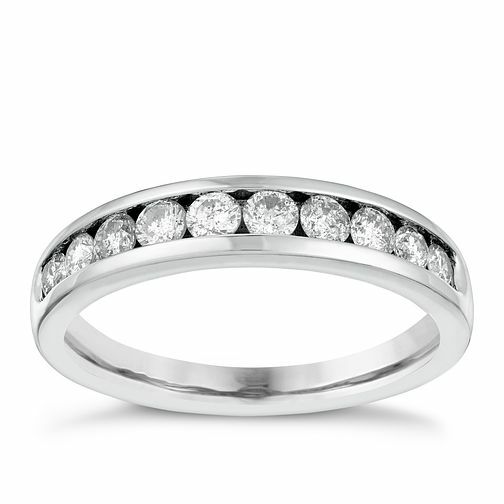 18ct White Gold 1/2ct Diamond Eternity Ring is rated 5.0 out of 5 by 2. Rated 5 out of 5 by Anonymous from Stunning ring My wonderful partner bought me this beautiful “ forever ring”. The ring is so pretty. I adore it.